(Seychelles News Agency) - Representatives from Seychelles joined other marine managers and marine litter experts in the world's first workshop to focus on littering in UNESCO World Heritage marine sites. Marine managers of the remote Aldabra Atoll in Seychelles, the Wadden Sea of Netherlands /Germany/ Denmark, the Brazilian Atlantic Islands -- Fernando de Noronha and Atol das Rocas Reserves, the Komodo National Park of Indonesia and Papahānaumokuākea of the United States, took part in the workshop. To tackle marine litter waste in Seychelles regular beach cleanups are organised by not-for-profit organisations. 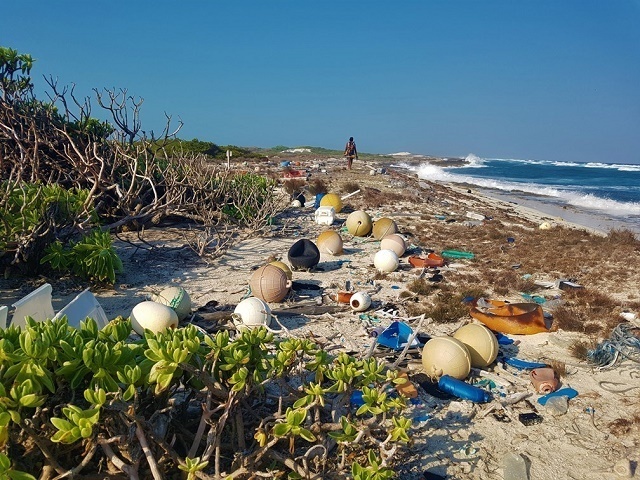 Aldabra -- a UNESCO World Heritage Site in Seychelles -- is a remote atoll and the team on the island is no match for the amount of trash washing on its shores.